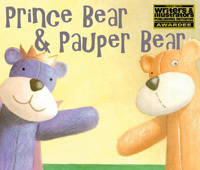 We first come across Prince Bear & Pauper Bear at the waiting area of our child’s enrichment class. My son was drawn to the story and beautiful illustration. I am drawn to how the story give the opportunity to teach values of compassion, empathy and friendship with such a hear warming story. I have looked in many book stores but failed to find it. is extremely happy to find that there is now an iPhone App for it.